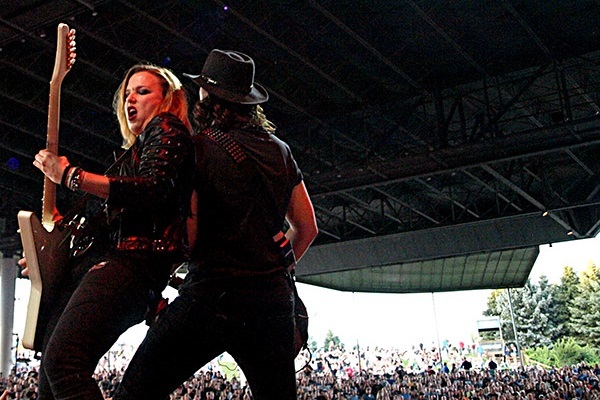 Halestorm spent much of last year on the road with In This Moment, and that touring trend will continue in 2019. Lzzy Hale and the band will hit the road on a spring North American headlining tour beginning April 18 in Mankato, Minnesota, and running through a May 13 date in Toronto. Tickets for the recently announced shows are on sale now. For ticket information, head to Halestorm’s official website at HalestormRocks.com. While many of last year’s tour dates were with In This Moment, this year, the only date together is currently a co-headlining gig on May 9 stop in Cedar Rapids, Iowa. Instead, Halestorm will appear with Palaye Royale and Beasto Blanco for most of the 2019 dates. Find the full tour roster below. *Co-headline with In This Moment.